Top-fermented beer, abbey type with in-bottle re-fermentation. Colour : Blond beer Strength : 6,5% vol. alc. Top-fermented beer, regional beer type. The aroma and taste of this beer compose a successful symphony, conducted with care but not in an overstrict manner. The initial taste gives an impression of bitterness that never becomes overpowering, balanced by, where necessary, a round mildness in the centre and at the finish. The quality hops and the pure malt work together to deliver a harmonious recital. Colour : Blond beer Strength : 7,5 % vol. alc. The unique blend of malt varieties gives an exceptional aroma. An unforgettable beer that caresses the nose as well as the taste buds. Colour : Amber beer Strength : 8% vol. alc. Top-fermented beer, tripel type, re-fermented in the bottle. This Christmas beer has a taste that alternates between fresh and warm, always with a pleasant, slightly bitter undercurrent. From the first tasting you experience a rounded taste and the tingly sensation of vanilla with a hint of pepper. Colour : Blond beer Strength : 9 % vol. alc. Ingredients : water, pale malt, and Chinook, Atakum, Tomahawk and Styrian Golding hops. Top-fermented beer, of the fruity white beer type. Colour : Cloudy Pink Strength : 5 % vol. alc. Top-fermented beer, wheat beer type. Colour : Cloudy white beer Strength : 5% vol. alc. Colour : Amber beer Strength : 9,5 % vol. alc. A unique, light taste offering, at the same time, subtle touches of sweets and fruit. A refreshing beer that calls out for another one. Colour : Amber beer Strength : 5% vol. alc. Silly Scotch was born from a unique tradition and, throughout the years, has grown into a reference beer for its particular style. Its lovely red colour with more than a hint of copper is hidden below a beige head. Its complex aromas breathe the scent of brioche accompanied by raisins, fruit jam and fresh raspberry. This is a generous, full-mouthed beer reminiscent of a liqueur. The initial, most striking impressions are those of honey and caramel. The flavours of prunes and roast malt come through in the finish. There is a refreshing aftertaste. Colour : Dark brown beer Strength : 8% vol. alc. Bottom fermented beer, pils type. Colour : Clear beer Strength : 5% vol. alc. Bottom fermented beer, organic pils type. Silly Bio Pils is milder than Silly Pils. This thirst-quencher has a malty taste that is followed by touches of bitter hops that don’t linger overlong and do not descend into tartness. 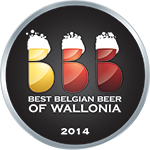 Top-fermented beer, spéciale belge ale type. A beer with a subtle aroma and an equally delicate taste. Malt, hops and wheat take centre stage, enhanced by a very slight and barely perceptible hint of grains accompanied by a slight touch of caramel that will delight the connoisseur. Colour : Amber beer Strength : 5,2% vol. alc. Colour : brune Strength : 5,5% vol. alc. The Silly Rouge is a balanced blend of brown beer and natural cherry juices. Ruby-red in colour, this beer has a powerful taste of cherries with a hint of sour coming from the cherry pips. Silly Rouge is an excellent tasting beer. Colour : dark brown Strength : 8% vol. alc.